Vancouver lawyer David Hay wants the B.C. Motor Vehicle Act replaced by a more cyclist-friendly "Road Safety Act." A Vancouver lawyer is calling for the rules governing B.C. 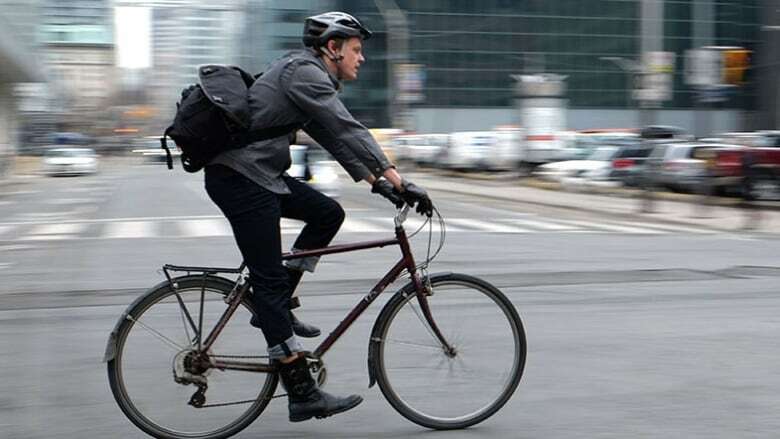 roads to be updated to include better safety provisions for cyclists, as the provincial government considers changes to the Motor Vehicle Act. David Hay chairs the Motor Vehicle Act Legislative Review Committee, whose membership is drawn from the BC Cycling Coalition, HUB: Your Cycling Connection and the Trial Lawyers Association of B.C. The committee has made several recommendations to the government on how to make the law friendlier to cyclists — including changing the name of the act. "The name itself is biased," said Hay. "It's inherently favourable to people who aren't vulnerable road users." Hay says the act needs to remove the bias towards car drivers and focus on all users of the roadway: cyclists, pedestrians and drivers. He suggests the new act be called the "Road Safety Act" to be more inclusive and show the rules are about promoting safety for everyone. B.C. 's laws are old, says Hay, pointing out that the Motor Vehicle Act was first introduced in 1957. It was updated in 1996 to include provisions that set out rights and obligations of cyclists. But that wasn't enough, he says. "The present statute does not reflect the daily realities of cycling, and cycling has grown exponentially in the province," said Hay. "We have to start to accommodate more trips to work... We have to start to look at congestion, and climate change. We have to look at the big problems we face in society." Hay's optimistic that the provincial government is receptive to change and says change will be positive for everybody, not just for cyclists, but for drivers too, as everyone becomes more clear about their rights and obligations on the road. "I think the government recognizes that we face a future that's entirely different from the past," he said. There are several issues Hay would like to see clarified in an updated law. It happens all the time. Traffic is congested and cyclists overtake on the right. The current statute prohibits that conduct, except in limited circumstances. Hay says the definition of those circumstances remains ambiguous and should be clarified. In progressive cycling jurisdictions, such as the U.S. and throughout Europe,you must give cyclists a metre or a metre and a half of space. B.C. 's law, however, is silent on minimum passing distances. Ontario has recently increased fines for drivers opening doors onto cyclists to between $300 to $1,000, plus three demerit points. Hay says that is one way of recognizing that we need to move traffic through the city by accommodating the growing population of cyclists. Cyclists are prohibited from riding side by side if it impedes the flow of traffic, but Hay would like to see more clarity on when it could be allowed if traffic isn't impeded. In European jurisdictions, he says, it's recognized that it's safer to be in numbers. Cyclists are more visible that way.